As Fibre Channel seeks to keep pace with Ethernet, and customers demand more performance from their state-of-the-art flash systems, faster Fibre Channel variations are hitting the market. The latest trailblazer is 32-gig, or Gen 6 Fibre Channel. Perhaps the most critical storage development in recent years revolves around flash storage deployment. It wasn't long ago that flash storage systems were just the stuff of very expensive dreams. Today, all-flash storage systems are replacing disk-based ones as organizations seek to drive application performance and accelerate business. But flash has created some interesting challenges: It's fast. That may not sound like a problem, but many companies simply can't access the full, raw performance of flash thanks to bottlenecks at other places in the storage system -- such as the storage fabric. Although speeds in all fabrics are increasing, the most common deployments today rely on either 10 Gb Ethernet or 16 Gb Fibre Channel. Gen 6 Fibre Channel seeks to help companies take full advantage of their flash investments and aims to accelerate workloads large and small. Gen 6 Fibre Channel also has the potential to make for greener data centers because customers see significantly improved power efficiency -- as measured in throughput per watt -- and increased workload density. The market for Gen 6 Fibre Channel got off to a slow start, and it's not clear that this technology will enjoy the mainstream success of previous versions. Ethernet has become an incredibly capable technology and has demonstrated uncommon flexibility, impressive adoption and continuous technological advances. It started out at a measly 2.94 Mbps speeds at inception. Today, they top out at 100 Gbps speeds, with such adapters already available. Ethernet speeds have blazed past just about everything else and show no signs of stopping. 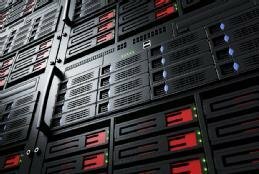 Moreover, as traditional storage continues to be supplanted by upstarts such as hyper-converged infrastructure, it's expected that traditional storage protocols, such as Fibre Channel, will be among the biggest losers as companies seek to trade data center simplicity for traditional paradigms. One might believe that the rise of Ethernet would also give rise to Fibre Channel over Ethernet adoption, but that has not really been the case. Finally, there's the issue of cost and complexity. Fibre Channel has traditionally been an expensive technology to operate because it requires dedicated adapters and switches. This need adds cost and complexity to the equation. For those with current investments and plenty of staff skills and budget, expect Gen 6 Fibre Channel adoption to take place, but on a slow scale, particularly as more customers consider more flexible, agile alternatives. Is Gen 6 FC on the horizon for your company? Why or why not?